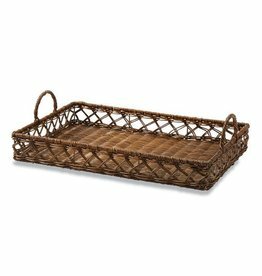 A functional favorite, this hand-woven rattan tray features dimensional side handles and open weave sides. 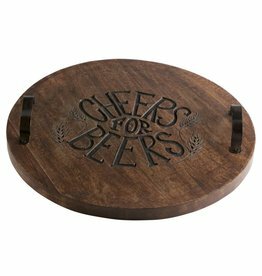 Whether you use it to present guests with cold drinks or as a decorative piece, it's a household must-have! 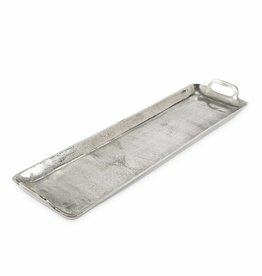 Serve your summertime guests cold cocktails on this generous sized galvanized tin tray featuring a fluted edge and hinged wooden handles with turned wood detail. 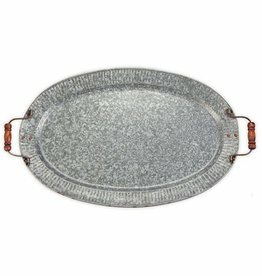 Piece makes a fabulous addition to every gathering! 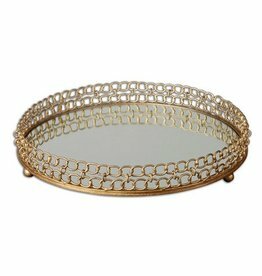 Made of gold leaf metal with a mirror base. 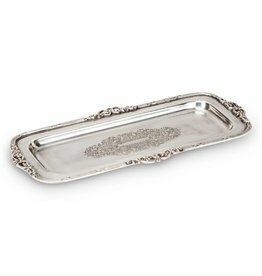 These beautiful Victorian-style items are just like your grandmothers treasured dressing table accouterments. 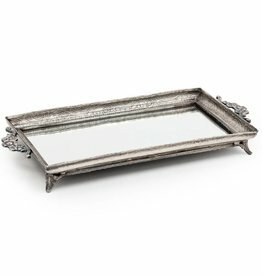 From picture frames to ornate keepsake boxes, these carefully-antiqued pieces will lend a touch of elegance to any room! 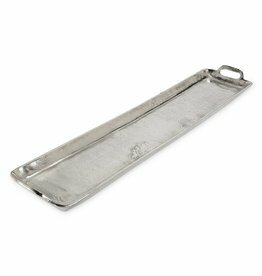 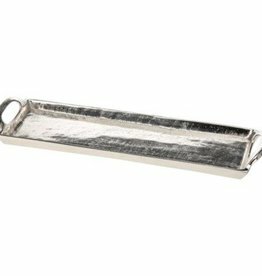 Serve your favourite treats or use this elegant nickel plated tray as the base for a table centerpiece that guests will really remember. 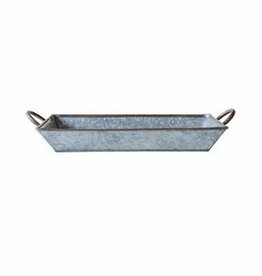 This rustic galvanized and copper trim tray is perfect centerpiece for your coffee table. 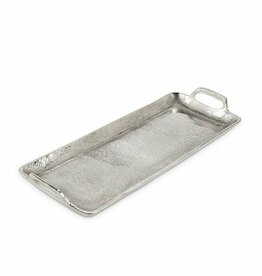 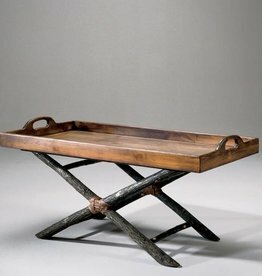 It would also be a great tray for serving drinks and snacks, especially by the lake!